which can only mean one thing- summer has (unofficially) arrived! Bring on the beach days, bring on the rosé, and most definitely bring on the grilled food! We LOVE grilling our food as much as possible. You name it, and we've probably grilled it (or at least attempted to). But a few of our tried and true favorites always include veggie kebabs. 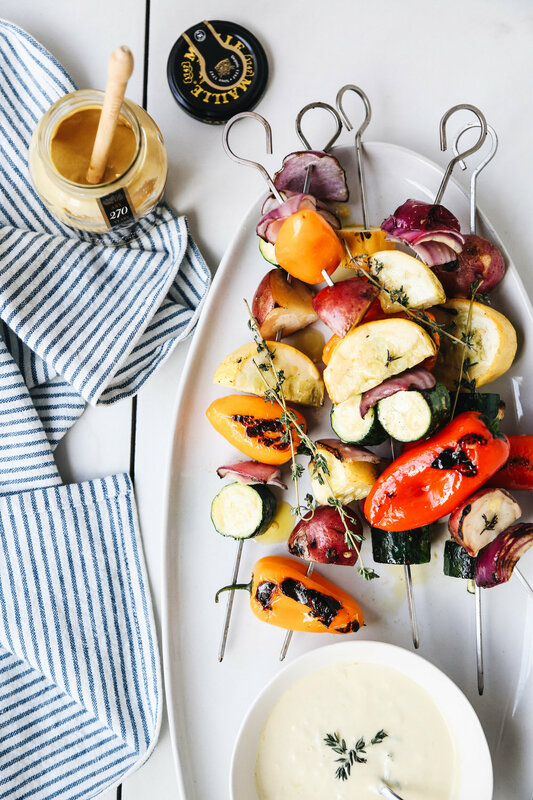 We love basting them in a quick marinade, made with Maille Dijon Mustard, grilling them, then turning the remaining marinade into a dip that's perfect to serve alongside the finished vegetables. I mean, honestly, it really doesn't get better than two recipes in one. And grilled veggies, obviously! Now who's ready to get those grills fired up and some veggies cooking!? 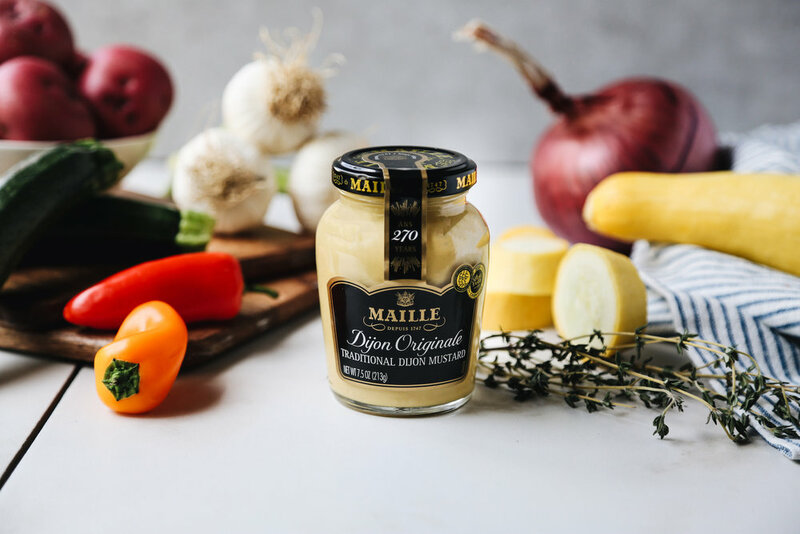 In a bowl, mix together the Maille Dijon Mustard, lemon juice, olive oil, salt, garlic and fresh thyme. Preheat and prepare your grill, then place the vegetables on, baste them generously with marinade and cook to your liking. While the vegetables are grilling, mix two parts sour cream to one part mayonnaise into the remainder of the marinade. Stir until smooth. 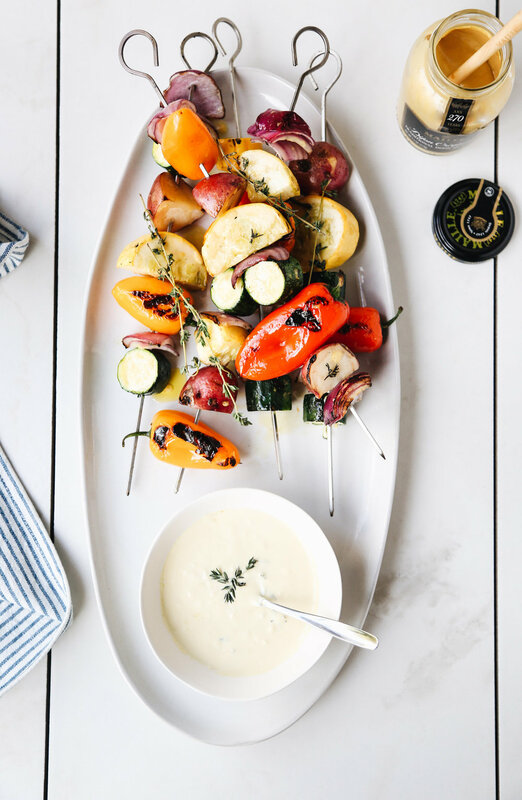 Plate the grilled vegetables and serve with the dip on the side.